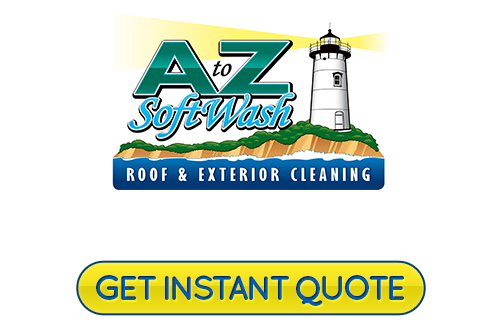 Looking For An Easton, MA Roof Cleaning & Pressure Washing Service? Whether you own a home or a commercial building, it's important to you. There are preventative things you do all the type to protect the investment you made. Protect your investment by keeping the exterior clean. Grime and algae buildup eat away at the materials on the exterior. This means repairs and replacement have to be done sooner. The roof, siding, windows and more can be easily cleaned if you have help. Call a Easton roof cleaning and exterior pressure washing service. It's much more affordable than repairing or replacing the exterior parts of your home. Homes and businesses built near the ocean, like in Easton, need to have exterior cleaning done more often. If sand is left on surfaces, it is dragged across them by the wind. This is scouring. Glass is particularly vulnerable to scouring. The windows need to be cleaned on the exterior regularly to keep the glass from scratching. Call us to clean your exterior windows in Easton a few times per year. Otherwise, that beautiful view will disappear under the fog effect of the etched glass. Cedar is a beautiful material for siding, roof shingles, gazebos, decks, and exterior details. The problem is that it is porous so can darken over time. The natural beauty of cedar on an exterior can be restored with pressure washing. 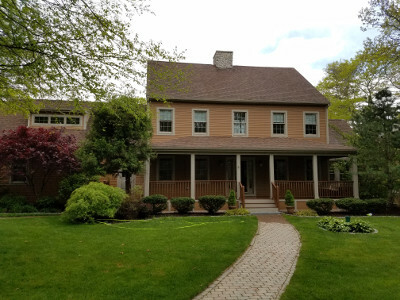 If you would like to bring back the beauty of these areas, call our Cape Cod roof cleaning experts for exterior cedar restoration. Let us clean these surfaces annually to keep up the appearance. 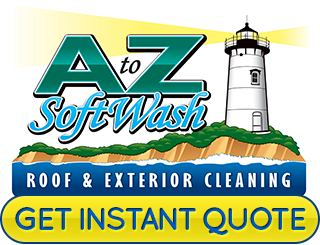 If you are looking for a reliable Easton, MA roof cleaning or pressure washing professional, please call 508-209-7795 or complete our online request form.